A variety of other turf care services based on your specific needs. Clean Cut Lawn brings quality that only more than 25 years of experience can provide. We have an experienced staff that provides the utmost professional service while making sure that your project satisfies your needs. Our professional field staff implements all necessary precautions to ensure that we execute all residential landscaping projects with the highest standards and attention to detail. Clean Cut Lawn is with you every step of the way until we achieve the final results you desire. Clean Cut Lawn was founded in The Woodlands TX in 1996. We are a locally owned family business, so we know our community. 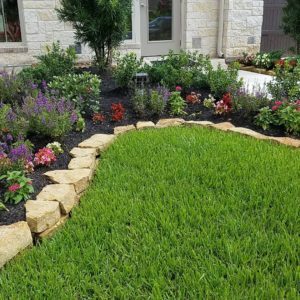 We are a Full service Lawn Care company that specializes in Residential Landscaping in the areas of The Woodlands TX, Magnolia TX, Tomball TX and Spring TX. If you are looking for a Residential Landscaping company that will do the job right the first time, please give us a Call now to get your Free Estimate on your Residential Landscaping project.